Dry Clean Waterless Spray Shampoo means going to the dry cleaner never felt so fun! 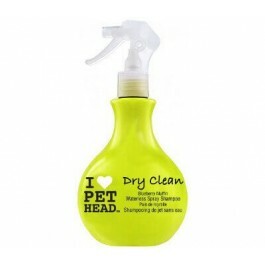 This is a convenient and fast way to clean your pet without water. This spray on, non-rinsing shampoo cleanses the coat without water. Perfect for trips or a quick freshen up between baths. Great to keep in the car for those unpleasant rolling moments! !